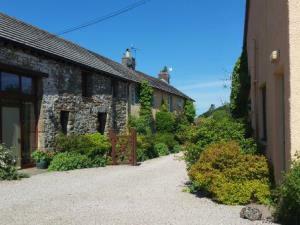 High Winder Holiday Cottages Self-cateringFour lovely self catering cottages within the grounds of the owners' 17th century house lying high in the Lakeland hills above the northern end of Ullswater. Approached along a private lane winding upwards through fields of grazing sheep, the cottages overlook the surrounding woods and fields, enjoy direct access onto the fells and afford a degree of peace and tranquillity which is rarely found. Although secluded High Winder is readily accessible and is conveniently situated for visiting much of the Lake District as well as the beautiful Lowther and Eden valleys, in addition to the Scottish Borders and Hadrian's Wall to the north. High Winder Holiday Cottages offers weekly bookings starting on Friday and Saturday and short breaks of 3 days starting on Friday and of 3 days starting on Monday in some seasons. 1 bedroom with a king size bed. Included is linen and fuel. Little Winder offers weekly bookings starting on Saturday and short breaks of 3 days starting on Friday and of 3 days starting on Monday in some seasons. By public transport you should alight at Penrith Station and then a short 15min taxi ride. By car leave the M6 at Junction 40 (Penrith). At the roundabout take the 2nd exit onto the A66 eastbound. After ½ mile take the 4th exit at the roundabout onto the A6. Follow the road through Eamont Bridge to the mini roundabout.Turn right onto the B5320 signposted Pooley Bridge. Continue on this road over the motorway and railway line. Shortly after the railway line take the next turning on the left signposted to Askham. Follow this road (quite wide) for approx. 2 miles. Just before the village of Askham take the narrow righthand lane signposted Celleron. Continue for about 1 mile and then turn left at the green sign saying ‘High Winder House and Cottages’. Go over the cattle grids and follow the drive. Continue up through the fields and you will see High Winder ahead of you.